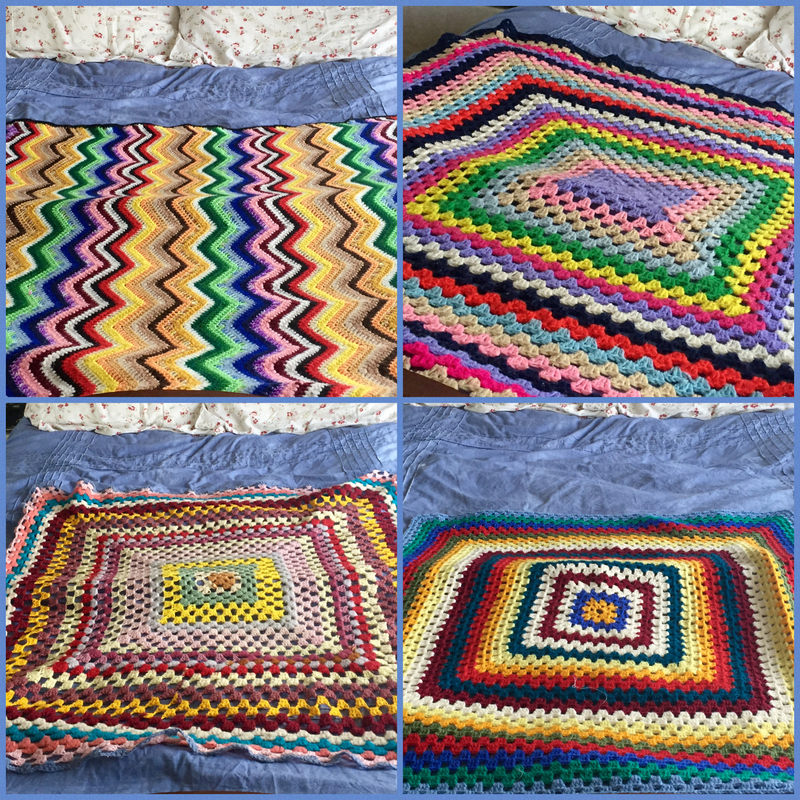 It’s no secret that I have an addictive personality, and you may have noticed that one of my obsessions is crocheted or knitted afghans. 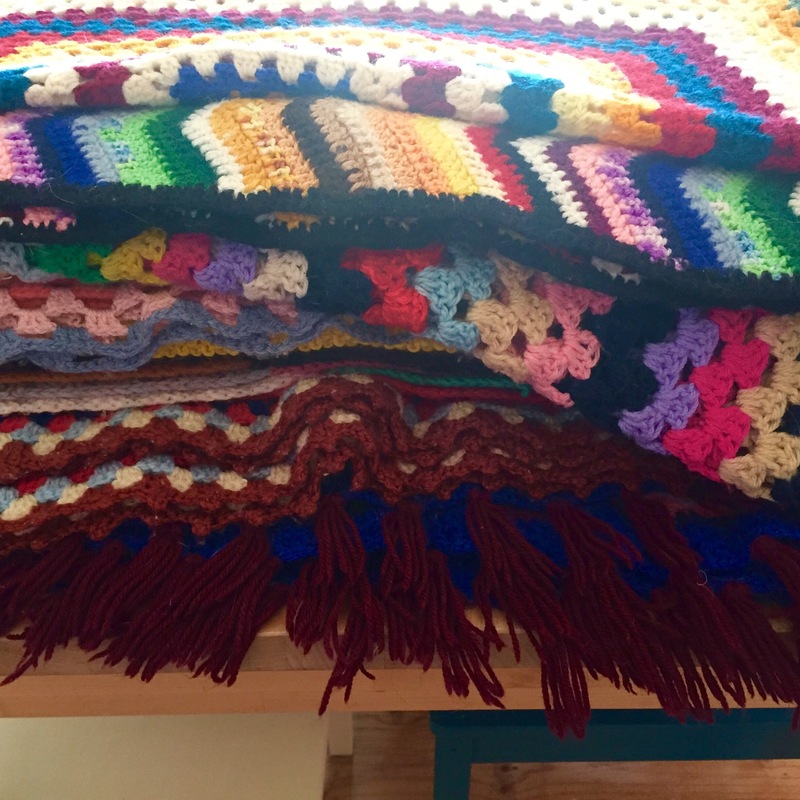 I can’t crochet or knit, something I lament regularly. 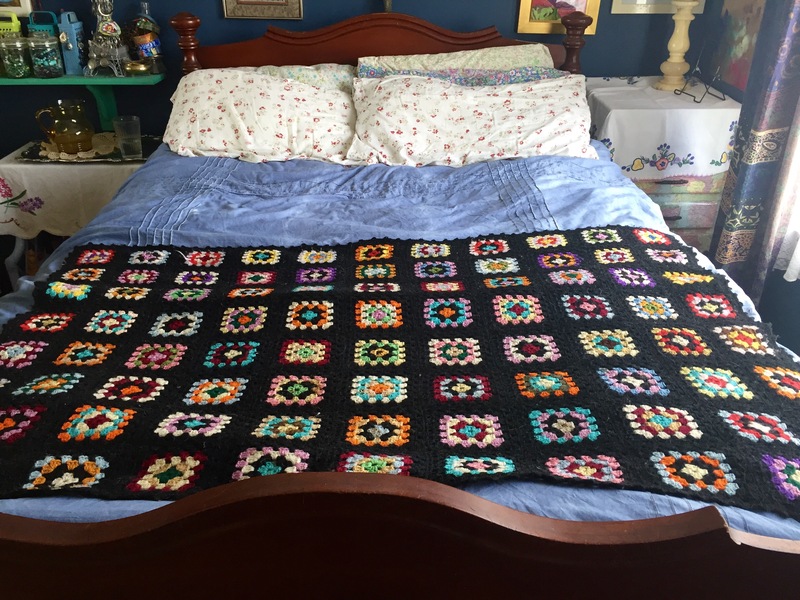 Despite every crocheter telling me how ridiculously easy it is I just can’t get it. (Obviously I’m just dumb) One day I will master crochet, I will. Until that day comes, I will continue to scour the op shops for afghans and wooly rugs. I love them, and have amassed quite a collection! 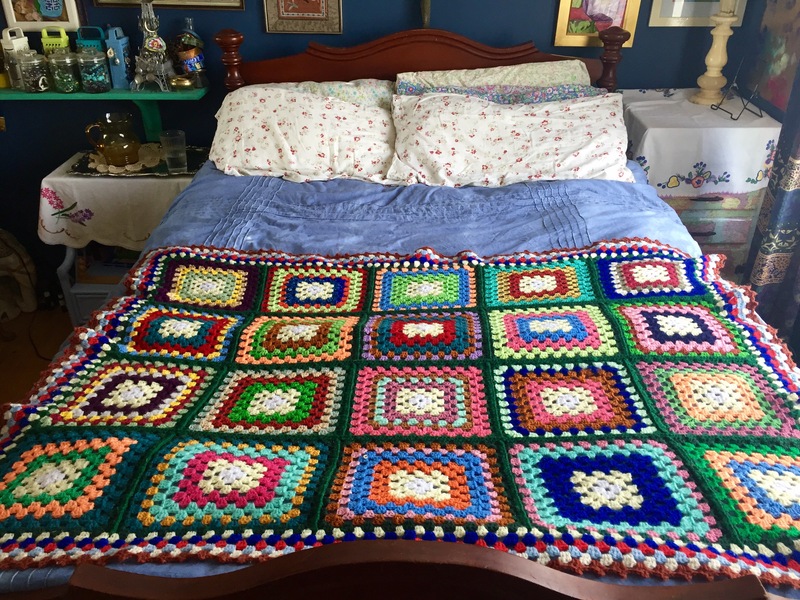 This entry was posted in Decorating, Op Shopping and tagged afghan, collections, crochet, knitting, op shop, op shopping, thrift store, thrifting, throw. Bookmark the permalink. I’m glad it’s not just me! I can knit, but very badly and only in straight lines. 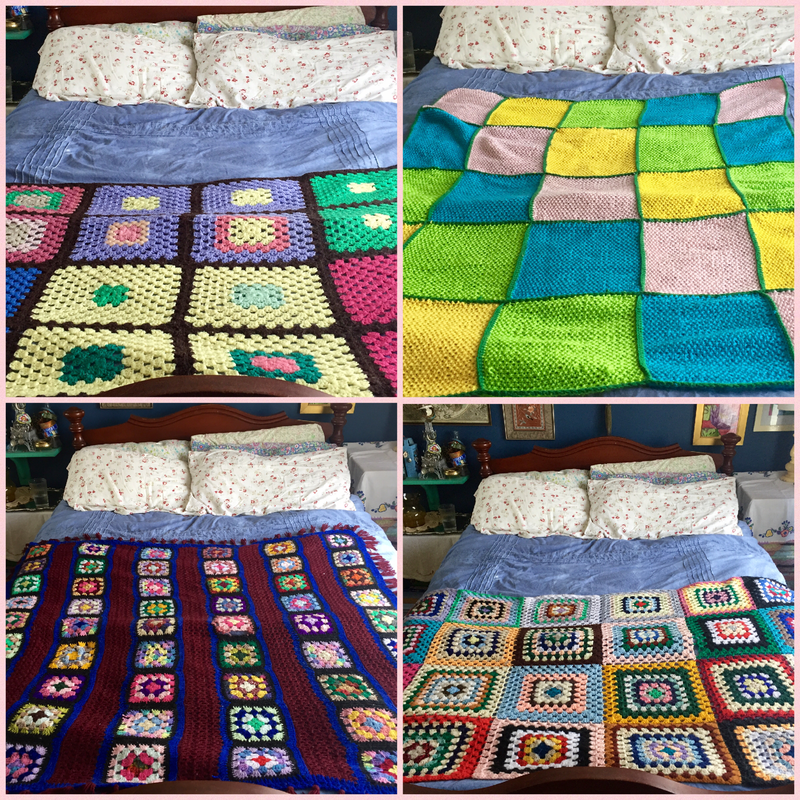 Both my grandmothers taught me how to crochet as a child, but it didn’t stick. One day.